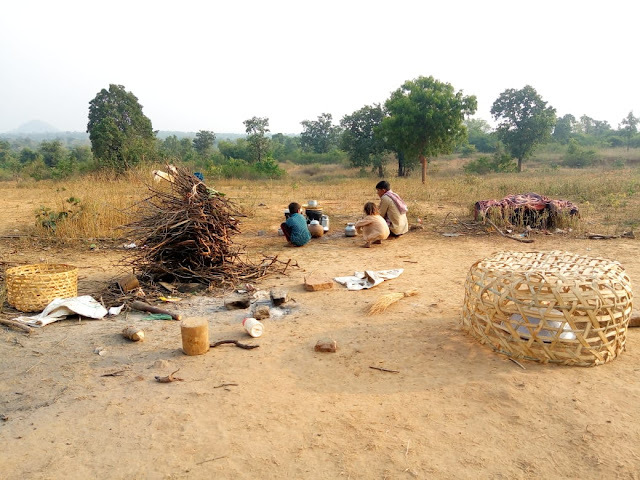 Peoples’ Vigilance Committee on Human Rights (PVCHR) has said that the forest department police’s crackdown, allegedly without any prior notice, on Dalit and Muslim households in Dakhin Tola, Churk Bazaar, Sonbhadra district, Uttar Pradesh, beating up “children and old people, women, and men in an inhuman way”, has led to “forced displacement, starvation and discrimination”. This has reportedly affected about 350 people. 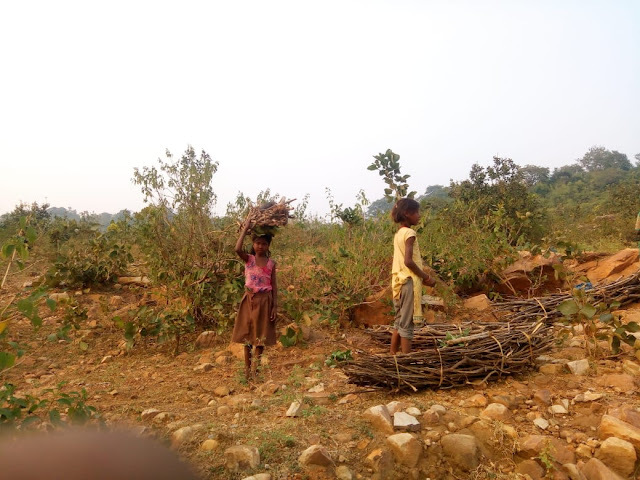 A PVCHR-sponsored team of psycho-social therapists went to Sonbhadra for “providing empathy and psycho-social support to the survivors of torture.” Following the visit, it reports, most families have been forced to flee to the nearby forests, and are living without roof. Some of them, including children, have died. Seeking urgent help from higher authorities, including the Sonbhadra district magistrate, UP chief minister, the Prime Minister, of India, National Human Rights Commission chairperson, and UP director general of police, PVCHR, which is led by well-known human rights defender Lenin Raghuvanshi, apprehends, the situation may get worse with winter approaching. At the same time, it has sought intervention from the Special Rapporteur on the human rights of internally displaced persons, Office of the High Commissioner for Human Rights, UN. On September 4, 2017 around 7 am the forest department police came with the JCB to Dakhin Tola in Churk Village of Sonbhadra district of Uttar Pradesh state of India. In this tola around 200 people were living in 50 families from their forefather in this barren land account number 00387. They made their settlement with their hard labour and small saving. All residents living there own voter card and residence certificate on the same address and some people's names are also mentioned in the family register. Again on August 17, 2018, in the early morning forest department police and PAC (para-military) came in Dalits basti in Dakhin Tola, Churk Bazaar, Sonbhadra district of Uttar Pradesh. In this Tola, around 150 people are living in 35 families. The forest department police without any prior notice or information started to demolish the houses. When the local people protested, they were beaten by the police in an inhuman way and charged with the case. 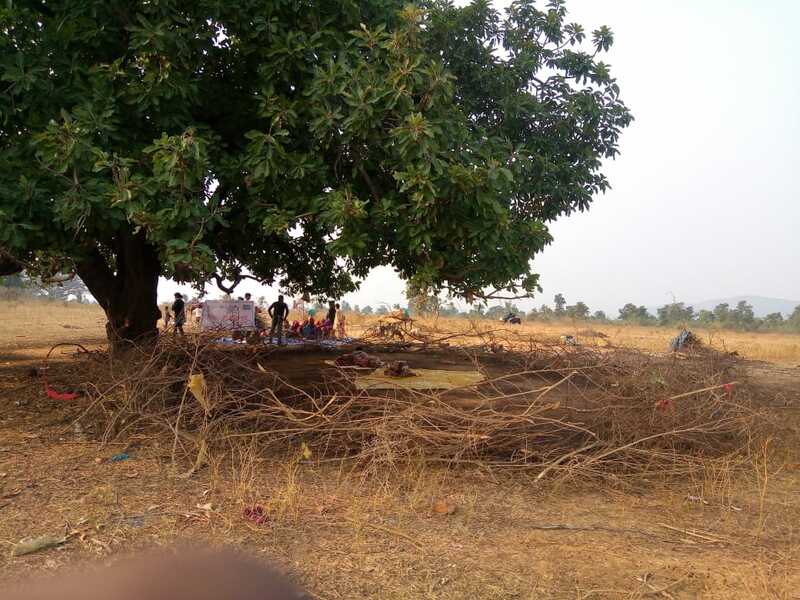 But many other people belong to upper caste occupied the land near to this settlement, they have opened their shop but they were not removed by the forest department police. The matter was intervened with the National Human Rights Commission (case No 21030/24/69/2018). During the follow-up visit the team of psycho-social therapists was informed that here (in jungle/forest) the police is giving threat to vacate the place. They even took their clothes, tirpal, food and other essential items along with them. 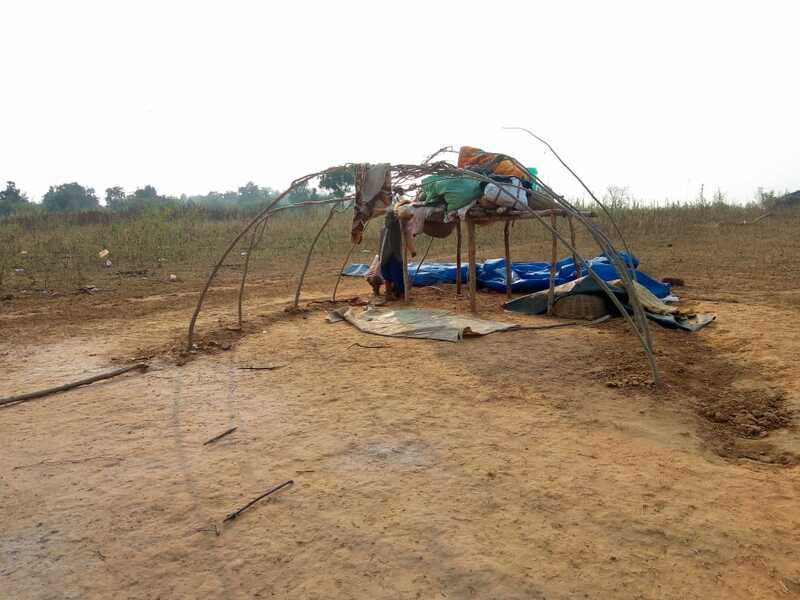 Due to which, the community is living in dire vulnerable situation in an open sky without any roof. Police have made people homeless through forced eviction and displacement and pushed out people in forest. The child rights are being violated as they are being deprived of right to education, and children are forced to wander in the dense forest. They have to walk long distance to get work as daily wages labourer and they spend more time in coming and going. Hence, they do not get work. They have to walk 4 km to get water. Yusuf s/o Mohammad age 42 years. In the evening of September 4, 2017, 13 police officers came to my ghetto, I thought that they might came in some case. I got shocked when I saw bulldozer along with them, I thought that there may be something. While entering the village they started to break the house, I with my full courage asked 'What is the matter, why are you demolishing our house with bulldozer? On hearing this, the policeman brutally beaten me with lathi and slammed me on the ground due to which I got ache with stone in my back. I loudly screamed, but the police did not have any kind of mercy on me. I was very compelled at that time; policemen were beating and I was screaming. The police brutally broke my house with bulldozers in which all the belongings of the house were suppressed and all the valuables were taken away. The ration kept in the house was thrown out and my chicken and a goat under the bulldozer, I kept pleading to the policemen but they did not have any mercy for me. I lost my everything police abused and dragged us to the road. The police arrived in the morning and went to the village at 8 o'clock in the night. They didnot leave any single house; the police demolished all the houses. Owing to fear I, my family member and villagers went to live in dense forest which is 10 km away from my ghetto. We are now living our life as nomadic there is no roof or shed and always we are having fear of wild animals. With the fear of police my husband is not going to work outside. In the prison I used to clean the toilets: I Munni Lal Musahar, I am 45 year old resident of village – Banglayi Dakhin Tola Musahar Basti under Robertsganj jurisdiction of Sonbhadra district. The incidence happened on 7th September, 2017 morning around seven o'clock. That time I was going to the forest to graze my cow and goat. I saw five police vehicle. I asked to them why lots of police came in this ghetto. Policemen abused and said I came here to demolish your house. After that police demolished all houses with the JCB. That was not sufficient for the police they made us to sit in the jeep and took us to ranger office. From there we were brought to Lodhi hospital for medical treatment and then to Gurma jail. At that time it seemed like for what reason we were punished. I was in prison for four days, I always missed the house. In prison I used to clean the toilets. In the name of food we only get watery dal and roti. About internal displacement: The United Nation Guiding Principles on Internal Displacement says: "Internally displaced persons are persons or groups of persons who have been forced or obliged to flee or to leave their homes or places of habitual residence, in particular as a result of or in order to avoid the effects of armed conflict, situations of generalized violence, violations of human rights or natural or human-made disasters, and who have not crossed an internationally recognized State border." It adds, "The internally displaced quickly become the poorest of poor subject to abuse and exploitation and to rates of malnutrition, disease and mortality well beyond those of the still settled population." 1. National Authorities have the primary duty and responsibility to provide protection and humanitarian assistance to internally displaced person within their jurisdiction. Therefore it is kind request please write letter to the given below concerned for immediate intervention in the case and take appropriate action at earliest.